Last week, the Google Photos service became “uncoupled” from the Google+ social network, where it was quite hidden. In addition, it was upgraded with some new features, which we’re pretty sure you will enjoy. 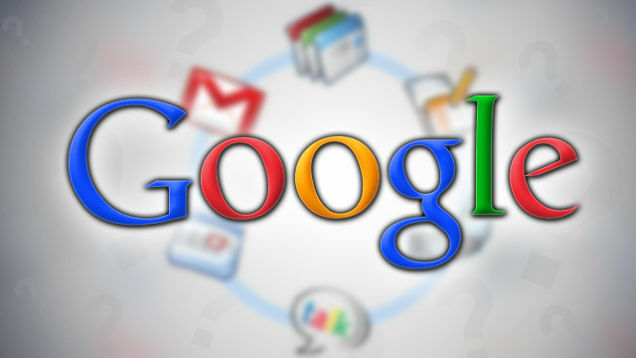 Google offers free unlimited storage for pictures and videos at the highest resolution, used by most smartphone users. In addition, there is also a browser version for Windows PC and Mac devices. So, from now on, once you set up your Google Photos account, all the videos and photos you have, including the ones that you will take in the future, will be synced between all these devices. After testing Google Photos for a few days, we can say that the application is pretty good and the backup-and-sync cloud service is even better than other leading competitors from Amazon, Apple, Dropbox or Microsoft. Don’t get us wrong, Google Photos was always good, but it was made only for the Google+ and this is why it was not used by many people. One of the best features that Google Photos comes with is that once you tap on the search button, the application will present you with a group of pictures organized into three categories: People, Places and Things. In the People Section, Google will collect all the photos that contain faces. It doesn’t identify the faces, but just collect them so that you can access them fast. The feature is pretty accurate and it will detect a face even if it’s far in the background of an image. In the Places section, Google relies on geo-tagging. If the photos are taken with cameras that didn’t have location tracking, it will rely on known landmarks. For example, well-known places or structures, such as Eiffel Tower, will be detected without any problems. However, the Things Section is not as accurate as the other two sections. The section is still quite impressive and it will show you flowers, cars, sky, tall buildings, concerts, food, birthdays etc. Google Photos will automatically create animations, photo groups, collages, “stories” and panoramas from the photos that it detects, which were taken in the same place and time. However, that’s not something new and a person who has used Google Photos before will already know all about them. 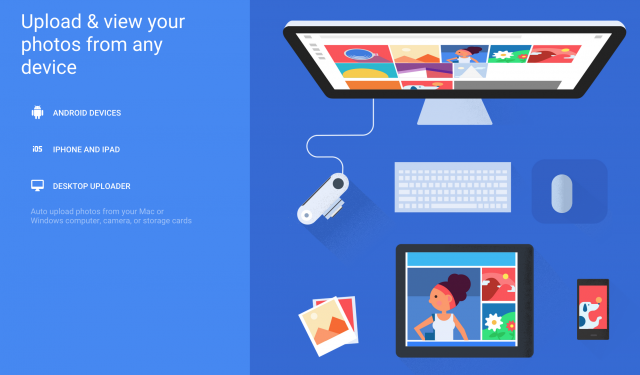 The new Google Photos version comes with an Assistant panel that will show you how the backup is going and it will present you with all the auto-created collections, allowing you to either keep or discard them. You can also manually create animations, stories, collages and many more by using your imagination. The application comes with some simple editing tools, including filters. Google Photos comes with a search function that’s accessible from a blue button that’s located at the lower right side of the screen. When you type something, Google Photos will instantly bring loads of photos of the subject. If you want to share some photos or create an album, you won’t need to tap the photos one by one. You just need to select the first one and then just slide your finger to add others to the selection. You can also use the pinch and zoom to switch the photo view from days to months or to years. Unfortunately, Google Photos comes with a few disadvantages. First of all, the initial upload will be very slow, even if you have a fast internet connection. So, if you have over 10,000 photos, then you should know that it will take a while until all of them are uploaded. At the same time, the free storage option allows you to upload pictures that have 16MP or less and videos that are 1080p or less. However, you should know that larger items will be compressed. After compression they should still be of high enough quality to keep everyone happy. The new Google Photos application will make a lot of Android users very happy. It allows you to store, organize and find your photos without any problems, syncing them with all your devices. The downside of the application is that it doesn’t allow larger photos 16MP and larger free. If you decide to buy storage, you will be able to store photos and videos at whatever resolution you want. We’re pretty sure that only photographers and hobbyists will choose to buy some space on Google Photos. Google will bring even more features to Google Photos sometime soon, they’ve noticed that there are more and more Android users who prefer to use their mobile devices to take photos. Have you tested the new Google Photos yet? Tell us your thoughts about it! Next articleChromecast vs Roku vs Apple TV vs Amazon Fire TV – Which One To Choose This Year?